Balance and harmony are essential qualities in developing conscious and fulfilling inner and outer relationships. By nature, we are relational beings and seek each other for exploring and deepening the experience of our interconnectedness. In order to create healthy relationships with others, we must first embark on a journey of self-reflection and personal transformation. By focusing on our personal growth and transformation, we develop the necessary inner harmony, which then allows us to create harmonious relationships in all areas of our life. Each of us is a unique ‘universe’ composed of a multitude – and often conflicting – set of desires, thoughts and emotions. When we learn how to successfully manage and reconcile all those different internal dynamics, then what naturally arises is a state of inner harmony. This harmony begins to extend outwards and colors all of our relationships — with our family, friends, partners, colleagues or any other person we meet. By harmonizing ourselves, we gradually come to realize that we and others are one. Our upcoming seminars on developing conscious relationships explore the ways in which our personal values guide us toward authentic relating. They explain the importance of having a common worldview, which helps create a shared vision of life, and teach us how to effectively support each other with compassion, while deeply respecting our individual evolutionary paths. On the level of harmonizing business relationships, we will be offering managerial and leadership trainings, as well as interactive team building activities. Those trainings are underpinned by the fundamental understanding that only through being part of a strong, inspired and committed team, which shares the same core values and serves a common vision, can excellence and sustainable success be achieved. One of the central areas of our coaching focuses on the upbringing and education of children—the future of humanity! Child care essentially begins even before the child’s conception, through the appropriate emotional and intellectual preparation of the future parents, which makes them ready to bring a new life into this world in a conscious and responsible manner. After its conception, the conditions of pregnancy are crucial for the formation of the baby’s physical and psychological characteristics. Following birth, the nurturing and education of the child should be designed in accordance to a holistic pedagogical and conscious parenting approach, encouraging and ensuring the development of a balanced, healthy and integrated personality. We aim at inspiring and supporting parents and young couples on their journey of parenthood. 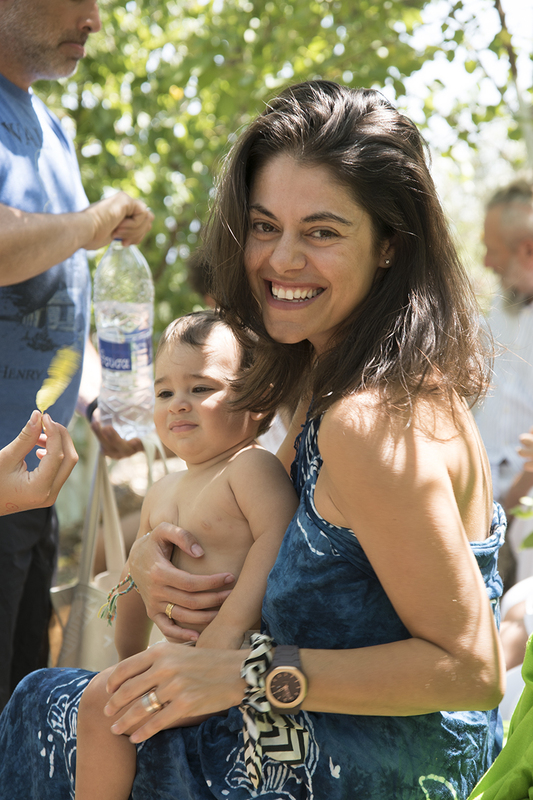 To this end, we are creating a parenting coaching center at Ancient Nemea, where we will be offering seminars and retreats on the topics of healthy partner relationships, conception, pregnancy, birth and conscious parenting. Endorsing the educational and transformative power of music, we are currently offering a program of continuing education at our center in Athens, where both children and adults are given the opportunity to learn the art of harmony through the art of music. By teaching children how to integrate this magnificent form of art into their lives, which helps them cultivate and psychologically empower their personality, our children can then embark on their own journey of harmonization.